A drunk driving traffic stop can change your life in a matter of seconds. According to FBI statistics, DUI is one of the most common criminal charges in the country. If you have been charged with driving under the influence of alcohol or drugs, you don’t have to become another statistic. More importantly, you need to know you are not alone. A DUI charge is not a reflection of your character. Sometimes, people make mistakes. And sometimes, people are simply in the wrong place at the wrong time. Unfortunately, co-workers, acquaintances, and even family members are quick to make uninformed judgments when they hear you have been charged with drunk driving. If you are convicted, you must deal with the stigma of having a DUI conviction attached to your name forever. This can stop you from getting a job, advancing your professional career, or even renting an apartment. As a seasoned prosecutor turned criminal defense lawyer, Marcia Hansen knows the whirlwind of emotions people experience when they have been charged with a Miami DUI Lawyer. There is so much at stake in your case. You need Florida DUI defense attorneys who gets it. You also need an attorney who believes in you. Ms. Hansen has earned a reputation for taking on tough cases and helping her clients take back their reputation. If you have been charged with drunk driving, you won’t find better Miami DUI Lawyer, period. There is no question that DUI cases are challenging. Even a first conviction will leave you with a permanent criminal record. You may also face fines, suspended driving privileges, probation, mandatory education classes, and maybe even jail time. The judge could even order you to wear an alcohol monitoring bracelet that causes you embarrassment at work and in public. A DUI conviction can also affect you in more subtle ways. With a drunk driving conviction on your record, you can expect to pay more for auto insurance, and you may find it tough to land a good job. For many people charged with a DUI, their arrest is the first time they have ever seen the inside of a police station. The justice system is entirely new to them, and they are quickly overwhelmed by the process, the jargon, and the possibility of serious consequences. 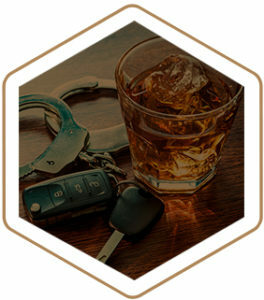 With so much on the line, you need a DUI lawyer you can trust to leave no stone upturned when it comes to your defense. Whether this is your first DUI offense or your fifth, you can’t afford to work with an inexperienced attorney. A former prosecutor, Marcia Hansen spent years learning the justice system. She brings this insider perspective to her work as one of Miami’s foremost criminal defense practitioners. When you are arrested for DUI, the clock immediately begins ticking in your case. The sooner you speak our Florida DUI defense attorneys, the sooner you can start working to get the charges against you dismissed. Contact us today to speak to an experienced DUI defense lawyer 24/7 about your defense strategy.